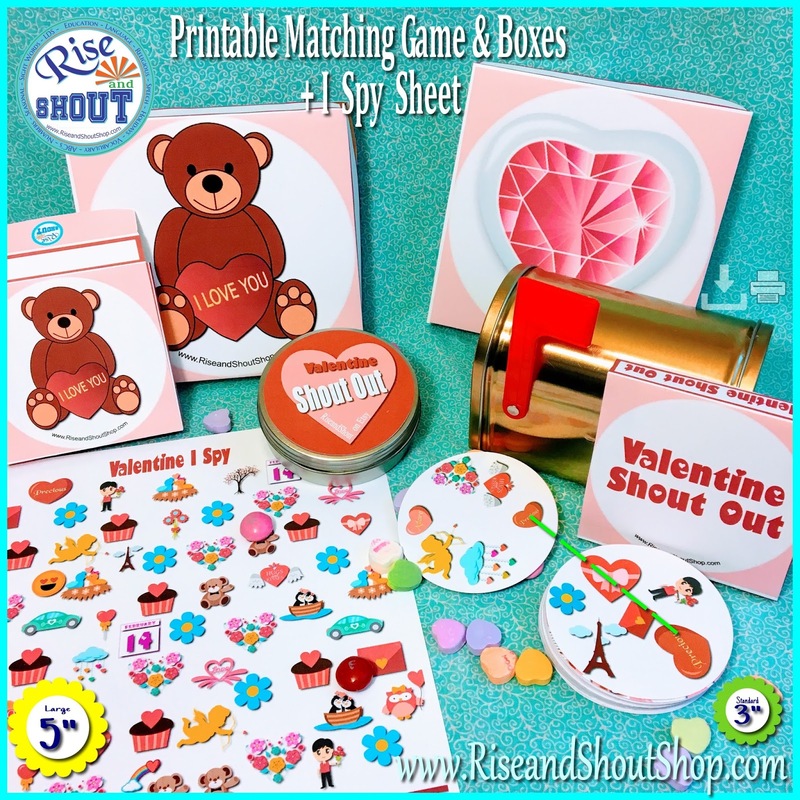 💞The room mom is taking in a Shout Out game and conversation hearts to play Shout Out "Bingo" style. She'll give each child a card and 6 candies. Then she'll draw out of a bowl one of the pictures from the sheet of images included. When someone covers all their pictures, they'll shout out "Bingo". 💖I'm keeping the "I Spy" game at home for when the kids are starting to crash from their sugar high. It should cap the day off perfectly. 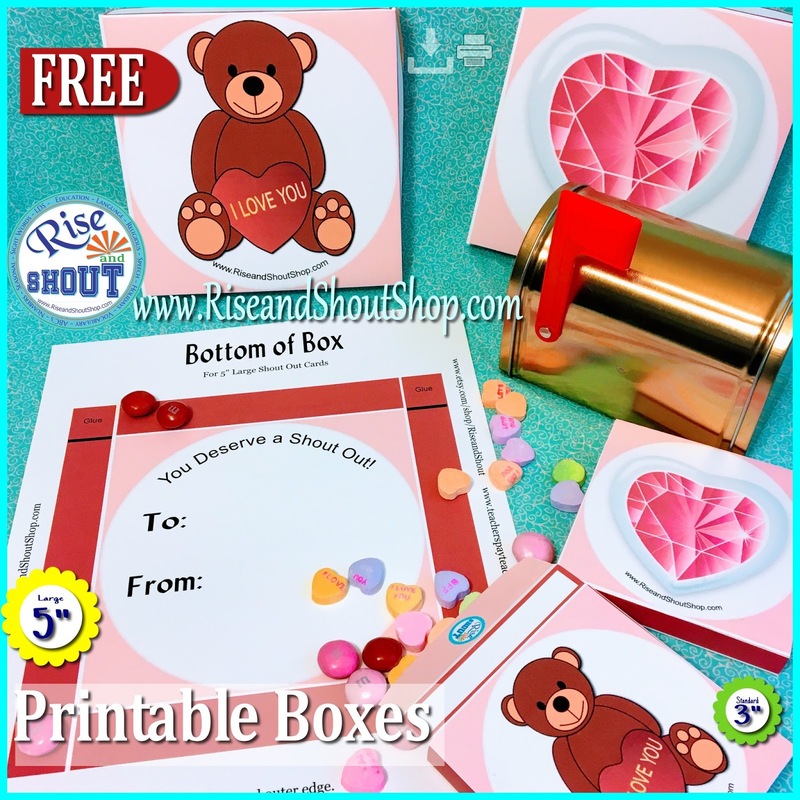 These 3.5" and 5.5" square boxes are a simple craft to assemble and put a special treat. FiPlll with chocolate, hearts, stickers, a special note or Shout Out games. 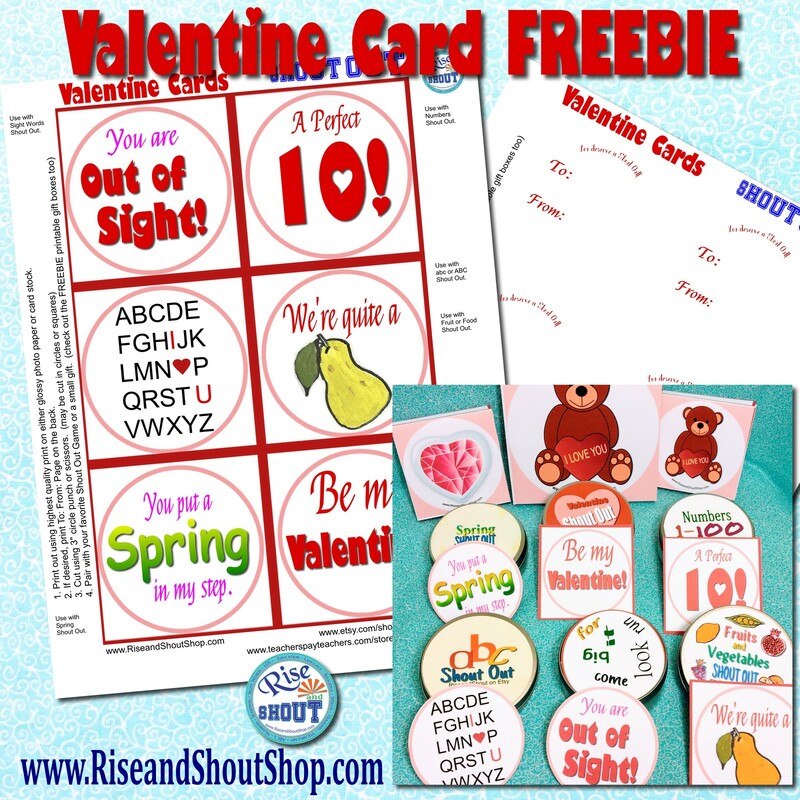 * Note that they do not say "Valentine's Day", so they can be used year round -- anytime you want to share a little love or kindness. 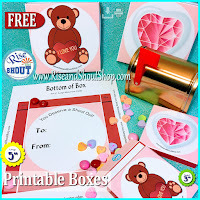 Two different styles - Teddy bear and a Gem Heart; 3.5" or 5.5"
These cards are great to print and give as gift tags or individual cards. 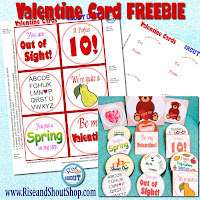 They can be used with the FREEBIE gift boxes and fill with treats. OR they are the perfect to pair with your Favorite Shout Out Games.